I was so delighted to write today's post at the Nerdy Book blog and announce the nonfiction picture books that won the 2012 Nerdies Awards. If you haven't already seen the post, stop over and check out these 7 amazing books!!!!! I have been so glad to make time to actually get some reading done this past week, and so I decided to dive into some of my ARCs from #ncte12. I will be quite the hero when I show up with some of these books this week. 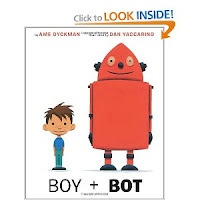 In addition, I have been doing even more reading in order to finish all the nominated books in my Cybils category of nonfiction picture books. Minette's Feast: The Story of Julia Child and her Cat -- What a lovely story about a famous cook and her cat. 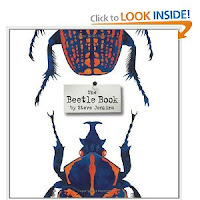 Yet another great nominee for the Cybils nonfiction picture book category. Bill the Boy Wonder: The Secret Co-Creator of Batman -- I reread this Cybils NFPB nominee yesterday. 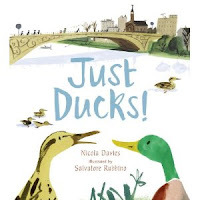 Given how visually oriented my students are this year, both in their own reading and writing, I think this will be a wonderful book to which they will relate. 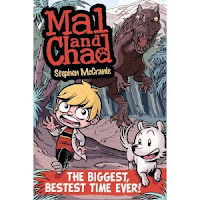 Add the Skype visit we had with Stephen McCranie of Mal and Chad fame, and they will bring a lot of background knowledge to reading this biography. They love graphic novels, so getting the inside story on how the Batman comics began will be great for them. I expect kids to be indignant that it took so long for Bill to get the credit for Batman he so richly deserved. Words Set Me Free -- One of our 5th grade history standards includes understanding the reality of the slavery situation. Words Set Me Free would be a wonderful addition to this social studies instruction. 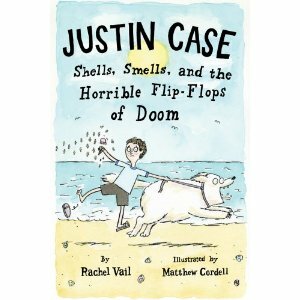 It's the type of biography that young readers will really enjoy. But the message throughout the story of how it was truly words that set Frederick Douglass free is incredibly powerful. 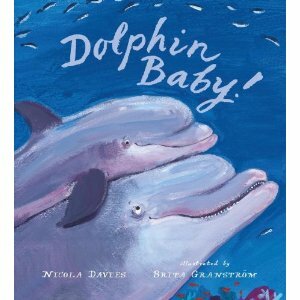 This is also a Cybils nonfiction picture book nominee this year. The Camping Trip That Changed America -- This is a great book that does a nice job explaining how the national park system came to be under the guidance of Teddy Roosevelt and John Muir. 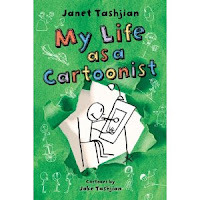 My Life as a Cartoonist -- I met Janet Tshjian last year at NCTE at a Macmillan publisher dinner. When I ran into her again in the exhibit hall this year, I was delighted to see her and even more happy that she remembered me. The icing on the cake - the 3rd book in the My Life as a Book series was out in ARC format and I got a signed copy. Life is good! I so enjoy this series, and have many students, especially boys, reading it this year. They gravitate to the illustrations, either because they just enjoy them or it provides them enough support to make sense of the story. Which is great, considering Janet's son, Jake, does the illustrations because he had difficulty learning vocabulary words when he was in school. In the latest book, Derek is still drawing his cartoons, only this time is joined by a new kid to the school, a bully in a wheelchair, Umberto. Turns out Umberto has quite a knack for cartooning as well, even when he is making Derek's life miserable. Fun story that kids will truly enjoy! Look for My Life as a Cartoonist in May 2013. Hide and Seek -- Kate Messner is such a diverse writer. 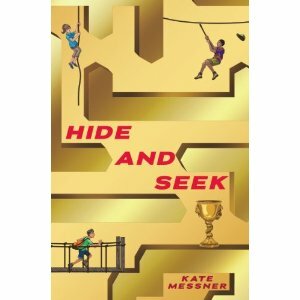 Hide and Seek is the follow-up to Capture the Flag. This time, we see the events transpiring more through the eyes of Jose, even though it is still written in 3rd person. The setting takes all the main characters to the rain forests of Costa Rica, a perfect setting for the action and adventure that takes place in this book. Good guys, bad guys, trying to recover important artifacts for the Silver Jaguar Society - what's not to like? I especially enjoy the author's note at the end, where Kate shares the research she and her family did before she wrote this book. All the nature things in the story came from the trip they took to Costa Rica. And it is an author's note truly addressed to students - it sounds like she is talking right to them. I can really appreciate her teaching background when I read this. Hide and Seek due out April 2013. 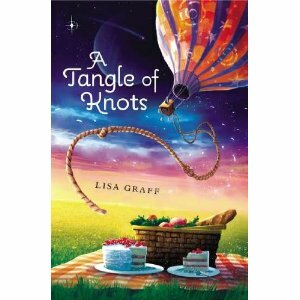 A Tangle of Knots -- A blurb about this book said it is "Savvy meets When You Reach Me", and I think that's a good analogy for A Tangle of Knots. The different points of view make this delightful - the reader becomes very invested in each character. 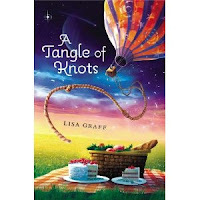 Lisa Graff weaves a plot that is magical with almost everyone in the book having a Talent, but there is also a Talent stealer. I think I am a good reader, but as the story skipped around with characters in the beginning, none seeming to have anything thing to do with the other, I was puzzled and then enchanted. 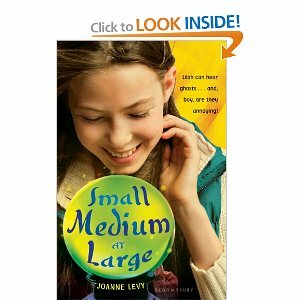 This book is due out February 2, 2013, and fans of Lisa Graff might be treated to one of her best books yet! Charlie Joe Jackson's Guide to Summer Vacation -- From the minute I saw the title of the first book in this series, Charlie Joe Jackson's Guide to Not Reading, I knew it would be a hit with kids and I was right. This series is spreading like wildfire in both of my classes. So when I had the opportunity to get the 3rd book, Guide to Summer Vacation, as a review copy at NCTE, I grabbed it! What I like is that Greenwald continues to have Charlie Joe be a schemer and always getting in trouble, but as the books have progressed, so has Charlie Joe's self-actualization. In a fun series like this, I think that would be a fine line to walk as an author but Greenwald has done a great job. Great freedom of speech and editorial writing in this last one as well. Mark your calendars for May - this is yet one more book due out that month. This week I am knee deep in doing beginning of the year reading assessments (DRAs). While I value the information I glean from these assessments, trying to keep the classroom in a workshop situation that provides the best environment for the students trying to either orally read with me, independently read their assessment text, or finish comprehension activities on their own, has left me with no time to have "exploration" time this week. 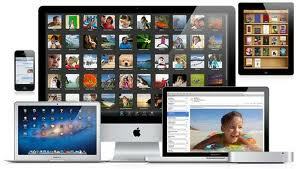 But that doesn't mean I've been idle preparing for life with technology for my students. Quite the opposite. This week, I scheduled two morning meetings with some of the district's tech PD folks for our 5th grade team, and we learned quite a bit. We are trying to set up a learning environment that allows for learning to take place both inside and outside of the classroom. More importantly, we're trying to use the technology we are so fortunate to have in our classrooms plus the devices students are bringing themselves, in very meaningful ways. Last week in my post, I talked about the three apps we explored: Skitch, Popplet, and Explain Everything. This week, we are organizing smarter ways to help us monitor student progress through quick formative assessments. The tool we are using is Google Forms which is part of GoogleDocs. Wow! Through our PD and then the ability to play with Google Forms on our own, we were able to come up with some very valid formative assessments. One of my teammates is studying place value with her students in math, and designed a 2 question form to check in on what they know so far. Another teammate decided to use parts of the QuickCheck assessments that are already part of our district's math program and design her own Quick Checks. After talking to a small group of online cohorts trying to wrap their heads around Evernote (a whole different conversation), I borrowed Susan Dee's idea of doing status of the class as a Google Form. And that all happened on our first day!! What will be so user-friendly about using GoogleForms is that our tech PD folks have shown us how to convert our forms into QR codes. For some of you this may be old hat, but for me it was very new learning. We will have a QR reader on each of our grade level's iPads and iTouches, so that students just have to scan with their device and it will take them right to the GoogleForm they need to complete. The two teammates that created the math assessments printed out their QR code, hung the QR codes around the room, students used their devices to scan the code, were sent to the website, and completed the assessment in class. And for students who don't have devices or want to retrieve the information in a different way, a fourth teammate figured out how to embed the GoogleForm onto his teacher website. The power of GoogleForm is that it gives you all the information in a spreadsheet so that, as a teacher, the information for differentiation is right there, and you can address the needs of each student. Beyond cool, right?!! I'm really excited about next week as we begin to do status of the class in a different way, and I start to look at quick assessments I could use in either reading workshop or writing workshop. I think one of my next GoogleForms will be on genre - having students correctly identify the genre of different books. Another thought is about word study; we will be finishing a unit in word study on nouns and plurals soon; our final assessment is actually this Friday. But, it would be good information for me to go back and take a look in the near future, and design an assessment on plurals. I'm thrilled with what we've learned so far, and how that in turn will really benefit students. I think our next learning will be about how to make our class wiki interactive and a place to store student learning and thinking. Stay tuned!! I love my classes this year, but another part of me is really missing those lazy days of summer when I read at will, whenever and wherever. But as I've spent so much time learning about my students through beginning of year assessments, reading has taken a little bit of a backseat. A good friend, Andrea, has a day she calls "Expedition" day in her classroom. Her students explore topics of nonfiction and wonder on these days. 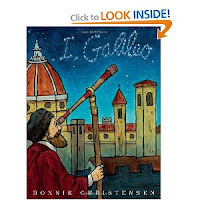 Last year, I borrowed her idea, and had Wonder Wednesdays in our classroom where we used nonfiction texts and websites like Wonderopolis to dig deeper into topics of interest. This year, I decided to have a day I call Exploration Thursday, which was originally just meant to be a Wonder Wednesday transplant, but due to an exciting opportunity for the 5th graders in my school, Exploration Thursday has become a day where we launch new thinking, and it has become much more than that as well. Truly every day is a day for exploration. Let me explain. This year, my forward-thinking principal decided to give all the 5th grade classrooms a variety of technology tools to use in the classroom. Each room has 3 iPads (grateful for a PTO grant that jump-started those acquistions), 4 desktops (they were previously in our room), 6 laptops (one of the school's laptop carts was broken down, and redistributed to each 5th grade classroom), and 5 - 6 iTouches (a teacher wrote a grant several years ago for these and decided not to use them so they have been redistributed to us as well). As you can see, a wonderful situation to have. But talk about needing to change my mindset -- even though students weren't always composing the same things in previous years, everyone did use the same tools - Pages, Keynote, KidBlog - to demonstrate learning. Now, we are in the fabulous position of having even more tools that demonstrate learning, but we can't all use the same tools for the same things. So my thinking about tech tools needed to evolve. Luckily, we have an amazing tech team in our district who come out to work with individuals on needed PD, and the conversations that have already occurred regarding this new learning have been wonderful. I've already had conversations and personal meetings with 4 of the tech personnel and I love how supportive they are of this learning opportunity. Last Thursday, I was just going to introduce the iPads to the students. Well truthfully, they are fairly tech-savvy, so it would be more accurate to say I introduced the 3 apps that I thought might be new to them. I quickly demonstrated some very simple "how to" regarding the apps Explain Everything, Skitch, and Popplet. Then students were paired up and asked to produce a product in each app. I know this won't come as a surprise, but the students taught both me and the two district tech folks in the classroom things we didn't know. It was so fun as we plugged their iPads into the SmartBoard to see what they had discovered and produced. Students taught me you can pictures to Popplet boxes! However, once again, everyone was showing their learning using the same tools. I know there was purpose behind spending this time early in the year getting to know the new apps so they will know the various tools available to them, but now it's time for the "what's next". I've very excited about the next steps proposed by two of my tech friends, Trish and Beth. We're going to think about each of the devices in the classroom, and brainstorm all the possibilities for each to show learning; we'll be building a toolbox of many tools, no matter what device we use. I'm really looking forward to all the Exploration of Learning that will occur in our classrooms this year. And we're going to look at authentic rubrics to assess some of this formative information the students will be creating. I promise to share more about that next week; I have 2 more meetings scheduled with my tech friends as we think through authentic use and assessment. I'm so very excited to be involved with the Cybils Awards for the 4th year in a row! Incredibly, I have been a judge in the same category for all four years - nonfiction picture books. I've served on both the first and second rounds of judging and have enjoyed both, but I will be a first round judge again this year. I think the months of October, November, and part of December will be jam-packed with reading some great new nonfiction, and I can't wait! I love that these awards exist; they are such a nice complement to the ALA awards. We get the opportunity to focus not just on literary merit, but also on kid appeal. That last being said, I'm the most popular teacher as I constantly share these new nonfiction books with my class. And this year, having 52 students/critics, will help me fine-tune my own thinking about what actually has kid appeal. Looking forward to what will be the finalists in all the judging categories, and then finding out the ultimate winners sometime after the first of next year. I spent some time at the Cybils website this evening, and I was reminded once again what a terrific website it is as a resource for great new titles. 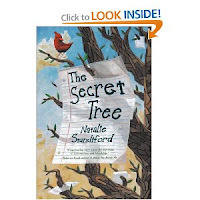 I will be sharing it with my staff again this year, and hope that they will spot a great book that they are dying to share with students once the nominations start pouring in! Let the Cybils fun begin! Wow! Every time I've been away from blogging/writing for a period of time (like these first few weeks of school), and I come back to it, I feel so happy to be writing again. It does make me wonder how to make writing a daily part of my life. As my online cohorts from Opening Minds would say, "I'm just not there... yet." But regardless, I'm glad to be back because I have some amazing stories to share about both of my language arts classes this year, and this story seems like a "great" (you'll understand soon) place to start. The summer is when I have more time than normal, like most educators, to spend time reflecting on my teaching and refining my practice. Much learning from others takes place during the months of June, July, and August. One of the people who made a big impression on me this summer was Katherine Sokolowski -- she has been the author of many thoughtful posts on her blog (Read, Write, Reflect), but one post that really caught my attention was her post about having conversations regarding what makes one great. In this post, she has collected several video clips that share what greatness can be, many of them Olympic-oriented. I knew that this was a conversation I wanted to have with my 5th graders as well - what is greatness and how do we get there as individuals and as a group? The videos and this question became the "meat and potatoes" of our morning meetings for the past 3 weeks. I started with the video clip about Michael Phelps -- incredibly short, but powerful in looking at the greatness of the most decorated Olympic athlete ever. The conversation didn't have to be personal at first, but rather thinking about someone else's greatness. But the beauty of the video clips Katherine put together, is that each video pushed my students' thinking deeper and deeper into personal greatness. What is greatness for you? Many students chose the first one, but no matter which starter they chose, they all had to look within to think about this concept of greatness. We compiled our thinking, decorated a little (I have many students who love colored pencils), and they are now publicly posted on this closet door and other places so that we can all learn from each other. This is early in the year, and some of the thinking about greatness didn't totally develop into deeper levels... yet. But I know that with this theme as our backdrop, conversations will continue to evolve throughout the year. Thanks so much to Katherine for such "great" thinking and sharing!! Thanks also to Ruth and Stacey for hosting us on Tuesdays -- I'm delighted to be continuing my membership in this writing community that meets every week for Slice of Life Tuesday. 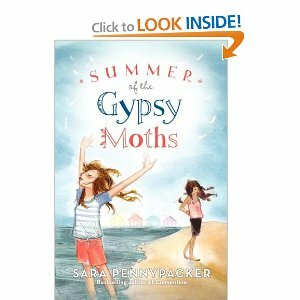 I have always been a fan of Sara Pennypacker, especially her Clementine books. She just has a way with creating characters that I think really connect with her readers. So I was excited to find out that she had written a book for older readers, middle grades, called Summer of the Gypsy Moths. I was even more excited when I found it on the new shelf at my local library. Two twelve year old girls find themselves staying with an elderly foster parent near Cape Cod. Both come from tragic backgrounds. Stella never knew her father and her mother was incapable of taking care of her. Angel's mother was killed in a car accident and her father drowned at sea. Stella's Great Aunt Louise takes them both in even though they come from very different backgrounds and don't get along at all. When Aunt Louise dies of a heart attack while the girls are at school, they have a choice to make. Call the police and both get sent to yet another foster home, or learn to handle the summer vacation cottages on their own and stay independent. They choose the second and go to some pretty drastic actions to keep the death of Louise a secret. The owner of the Linger Longer vacation cottages, George, comes around and teaches the girls what it takes to change the cabins over for the next round of visitors. The girls tell George that Louise has fallen and hurt her ankle and wouldn't be able to help for a while so the girls handle it all. Angel works harder than she ever has, learning survival skills she has never had so she can earn enough money to get to New York to live with her aunt, a recent immigrant. Stella follows her collection of Hints From Heloise articles and keeps the Linger Longer cabins running smoothly. She dreams of her mother coming to live in Cape Cod and together the two of them taking over the care of the cottages from Louise. The girls learn to live and work together and then become the closest of friends. Each learns from the other how to do things they never thought they could. Throughout the story the girls worry about the secret in the pumpkin patch and in a way grow even closer to it. 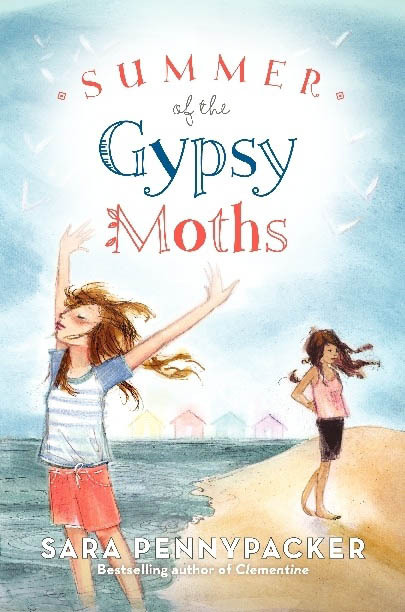 It will take a pretty strong middle grade reader to understand this book, but when we kick off this year's version of the Bailey Newbery Club, Summer of the Gypsy Moths will be one of the title I put on the reading list. I'm so pleased I was able to find time to read this week, even though I had teacher workdays four of the days, because I managed to read several things I really enjoyed. Chaos Walking Series by Patrick Ness -- How am I just getting around to reading this series now?!! The first one was The Knife of Never Letting Go. I don't normally read science fiction, but I couldn't put this one down. And for those of you who know this book, I found myself very upset with the ending. I absolutely needed to read the next book asap because I was dying to know what happened next. Wonderful, suspenseful book. And then, I did read the next book, The Ask and The Answer. It was just as riveting as the first book. What I can't believe is I have to wait until next weekend to finish this trilogy -- with students coming tomorrow for the first day, I won't have time to read something as big as Monsters of Men (the last book) until then. 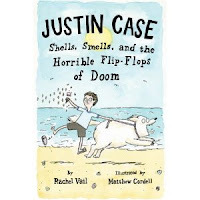 Justin Case: Shells, Smells, and the Horrible Flip-Flops of Doom by Rachel Vail -- My blog partner, Bill, said he thought this Justin Case book was better than the first and I have to agree with him. While Justin is still frightened of many things, it's nice to see him getting a little stronger as well. I'm glad Rachel Vail is letting his character grow and develop. Matthew Cordell's illustrations are perfect. 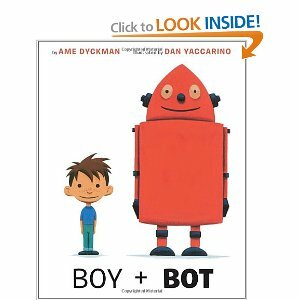 Boy + Bot by Ame Dyckman -- Love the simple, but important, message in this book about how we need to take care of one another. This might be one of the books I read aloud for our first day. 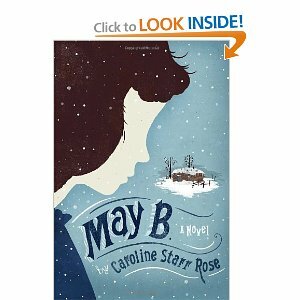 May B. by Caroline Starr Rose -- May B is such a great female character. I'm always looking for wonderful novels in verse to add to our classroom library and this one fits the bill. Due to hard times, May B is sent to live with a family 15 miles away to help out the wife who is suffering from depression and can't seem to do anything around the house. When the wife runs away and the husband follows her, May B is left alone in the middle of nowhere to fend for herself. Powerful reading! Wow! It's hard to believe that my #summerbookaday time has almost come to an end. It's fun to look back and see what I've read over the summer, and it will be great to share with my students very, very soon. The past two weeks I've read a variety of books. A little more than a week ago, during #PB10for10 event, I posted a list of 10 nonfiction picture books I loved. I had literally just purchased (and read) all but one of them, so 9 of those books make my list for this week. If you haven't checked out these books, you really should. In addition, I read six adult books. Some were just guilty pleasures (I love spy/intrigue and beach setting books), but one stood out as a book I would recommend to people looking for something really unique. It was Heft by Liz Moore. Heft was recommended to me by a friend who has impeccable taste in books, and once again, she did not let me down. Great story that develops characters over time - since I'm so character-driven when I read, this was perfect. Would highly recommend it to any adult book clubs!! 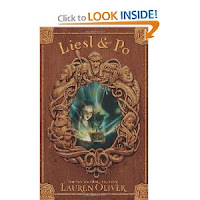 Liesl and Po by Lauren Oliver -- I'm not sure how I missed reading this book when it first came out. 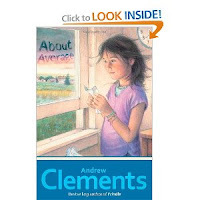 But with this author coming for a free visit for our 4th and 5th graders at our school in the beginning of October, I needed to remedy not reading it immediately. So glad I did! I know Lauren Oliver as the author of the Delirium trilogy, which I love, so it makes me happy to know she can write for a younger audience as well. Liesl is a little girl who recently lost her father and is locked in the attic by her step-mother. Po is the ghostly presence who comes from The Other Side to spend time with Liesl and eventually embarks on a journey with her. Will is an apprentice to alchemist who spies Liesl in her attic window and becomes attached to her without even knowing her. I love how the three characters' stories intertwine. This will be a great book to share with my students. Bird and Squirrel on the Run by James Burks -- This will be a fun graphic novel series for kids to follow. 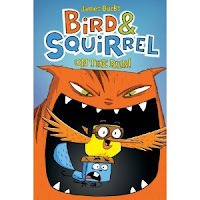 Bird is a happy go lucky character, and Squirrel worries about everything. They make a great pair as they have a cat that chases them throughout the book. Fun! About Average by Andrew Clements -- This is another book by Andrew Clements that I think kids will enjoy, and to which they will relate. The idea of not having anything but average skills in many areas of life seems to be a theme in this time of competitiveness around us. This is a sweet reminder that we all have something special to offer. For more about this book, check out Bill's review. 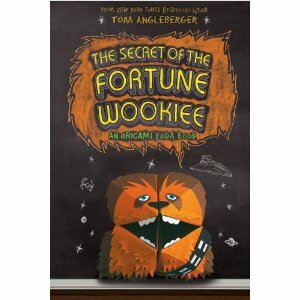 The Secret of the Fortune Wookiee by Tom Angleberger -- What a great addition this is to the Origami Yoda series. This book might be my favorite because the focus is more on the girls this time. And it's also interesting to see how Angleberger dealt with Dwight, the originator of the Origami Yoda, not being at McQuarrie Middle School this year. Fun book to add to my Tom Angleberger tub. 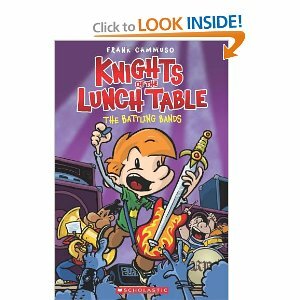 Knight of the Lunch Table: The Battling Bands by Frank Cammuso -- I'm happy to be adding this book to my graphic novel bookshelf. The Knights of the Lunch Table series was a well-loved one in my classroom last year, and I predict this book and the other two will be widely read again this year.